I whipped my phone out and searched for All Tune & Lube in Sioux Falls (because they’re my “go-to” people for anything car repair-related). I needed to set up an appointment for new tires. And I didn’t have their phone number in my phone…and I couldn’t remember the number even though I’d called it many times before. Getting old I guess. The info I needed came up on Google after I typed in “All Tune & Lube Sioux Falls”. But the phone number didn’t seem familiar. I called. All Tune & Lube answered. I said, “Did you guys change your phone number?” They said No. I’m assuming that they were doing some kind of tracking with that different phone number. Tracking their online calls. 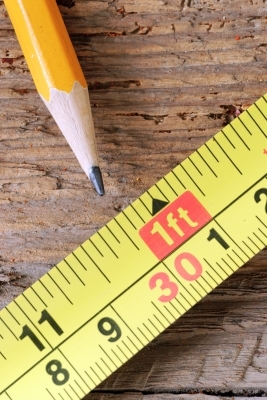 Measuring your return on your marketing isn’t always as easy as you wish it would be. So, what’s going to happen here? They might “count me” as a customer who found them online. And then, they’ll think “online” is where they should put all of their marketing and advertising efforts??? Or maybe there’s an Internet marketing company who sold them an SEO package of some sort with a different phone number??? That’s great as long as they realize that their past customers who love them… may find that number online (like me). And that their past branding efforts have glued “All Tune & Lube” into their audience’s brain – so those people already know who they want to call. Those people they had reached effectively with their radio campaign don’t have to type in “auto repair” into Google…they type “All Tune & Lube”. So, was it the past radio ad campaign that should get the credit? Or the expert service and above average customer service they received in the past? Or the word-of-mouth? Who knows. It should all work together when you’re marketing correctly. As long as they’re reading those online metrics properly…and my phone call isn’t being categorized as one more new “online prospect snagged”…I’m totally cool with it. Maybe they are tracking the number of online calls versus Yellow page calls. Great. They’ll soon realize they should shift all or most of their Yellow budget into their SEO plan or something else. If I owned my own local business… I wouldn’t care HOW people found me… just as long as they do. My tracking would be with my sales revenues. Or number of customers daily/weekly/quarterly. Or whatever best illustrated that I was attracting more new, smiling faces. But it would be over a matter of many months or even a year. Of course, since I know Radio Advertising can work wonders, I’d put most of my budget into radio. You may think I’m biased, but I’ve seen how it works. I’ve heard the feedback. I’ve seen the growth numbers. Shiny and new marketing efforts aren’t a substitute for tried and true. Are there BAD radio advertising campaigns out there? Absolutely. Even a lot of the national radio ads I hear are completely missing the mark. That’s why you might want to work with yours truly. “Creative” is no substitute for “Selling”. I believe what David Ogilvy said, “It’s not creative if it doesn’t sell.” Your ads need to WORK…not just be something cutesy, funny, bizarre, or creative. But when Radio is done right…with the right message and strategy in place…prepare to be delighted with the results. Radio is one of the only mass media advertising mediums where the audience is holding strong. Are some of those listeners also listening to Pandora and their iPods? You bet. But they’re also still listening to Radio. Around 90% of the population tune into their local radio stations consistently. And when you find a radio group who’s progressive, keeps enough live and local DJs in the booth, and constantly wonders how they can make a radio listener’s experience better…it’s a good group to go with. Hey…like us! I’m happy to be with a company who knows we have to stay relevant and change when we need to change. Just be careful with your tracking and measuring. Don’t give something credit if it’s not deserving of the credit. I know you want to know absolutely, 100%, which advertising and marketing dollars are giving you the best return. But it’s not a simple thing to do. You could start by NOT dividing and spreading your ad budget around to so many different mediums. Then, you’ll never know which works well and which ones are just money thrown in the garbage. Start with one or two. Don’t sprinkle. “Own” the advertising medium you choose. Be there. Be there in force. If you want to have an honest talk about local advertising, let me know. We won’t just talk about Radio…but how local advertising really works. And how we can make your local advertising efforts pay you back many times over. We’ll also talk about how you’ll plan to MEASURE your RESULTS. Previous: Can 8 Words Make a Difference?